Cardi B Fashion Nova Tweed Skirt Set Restocked! 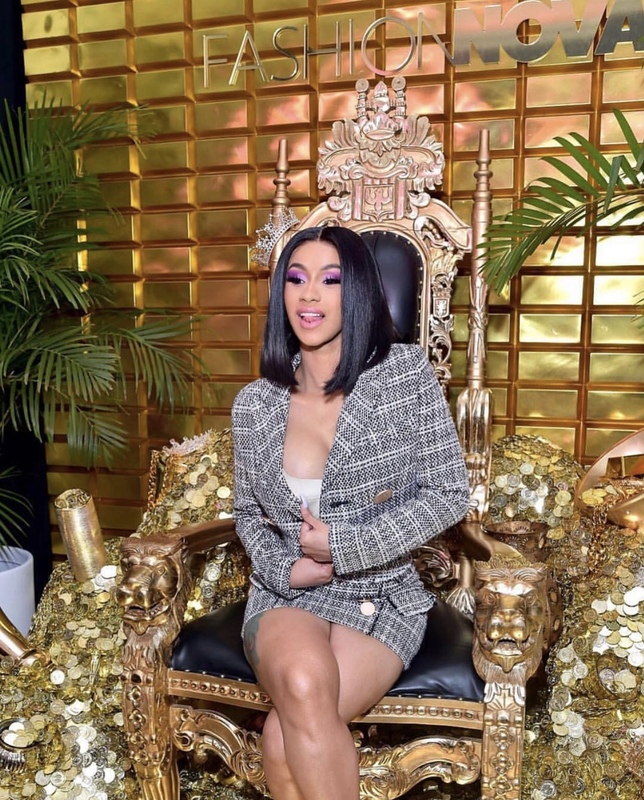 Cardi B’s Fashion Nova collection debuted late last year and immediately sold out! One of the most coveted and popular pieces from the collection is the “Check The Resume Tweed Matching Set“. The stylish two-piece suit includes a cropped long sleeve jacket and matching mini skirt with large bronze buttons for added detail. The set is made with a moderate stretch for your curves and has a side zip closure. The Check The Resume Tweed Matching Set is a steal at $90. Are you going to make a purchase? Source: FashionBombDaily – Cardi B Fashion Nova Tweed Skirt Set Restocked!